1. 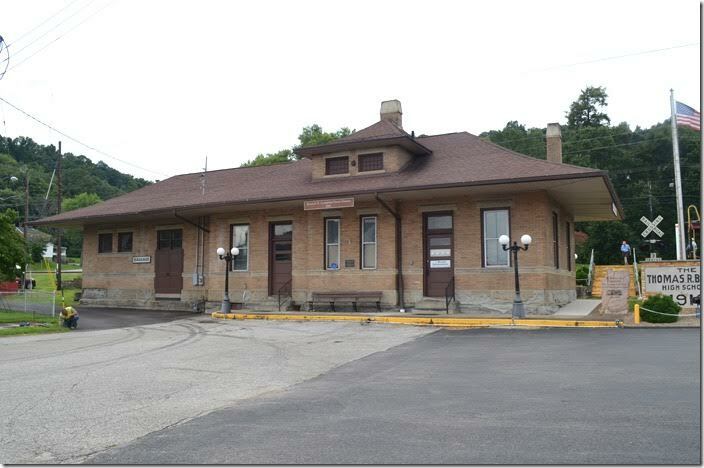 Former C&O depot at Catlettsburg. Restored, it now serves as a community center. 2. Restored C&O depot. Catlettsburg. View 2. 3. Of course none of these were ever painted red. C&O cab 3238. Catlettsburg depot. 4. 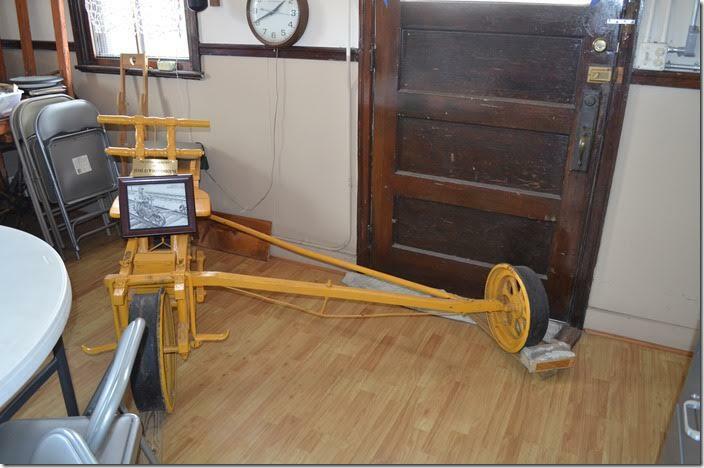 C&O velocipede used by maintenance-of-way workers. Catlettsburg depot. 5. 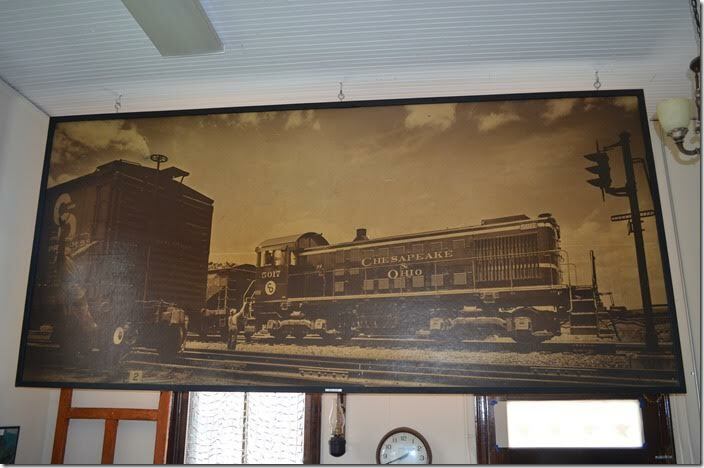 Picture of C&O 5017. Catlettsburg depot. 6. 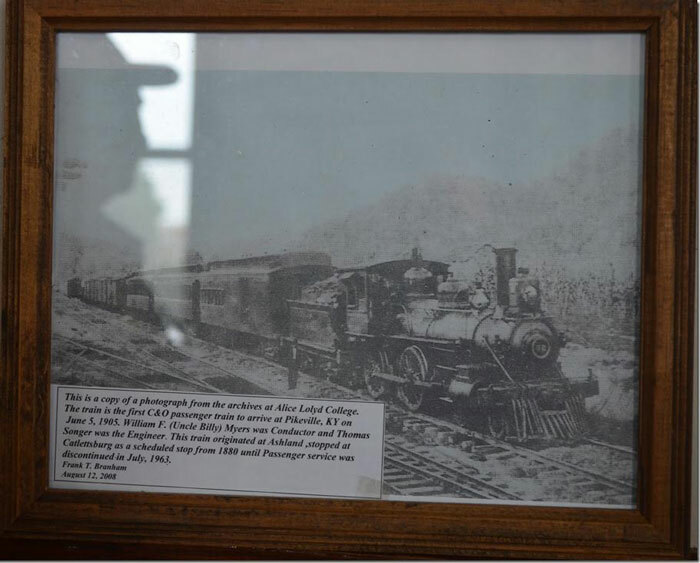 The late Frank Branham retired from CSX/C&O and was instrumental in the revitalization of the Catlettsburg depot. Frank came off Big Sandy. Picture first C&O train at Pikeville. Catlettsburg depot. 7. The original alignment for the main line before the replacement of the Big Sandy bridge in the 1940s was on the level of the depot. 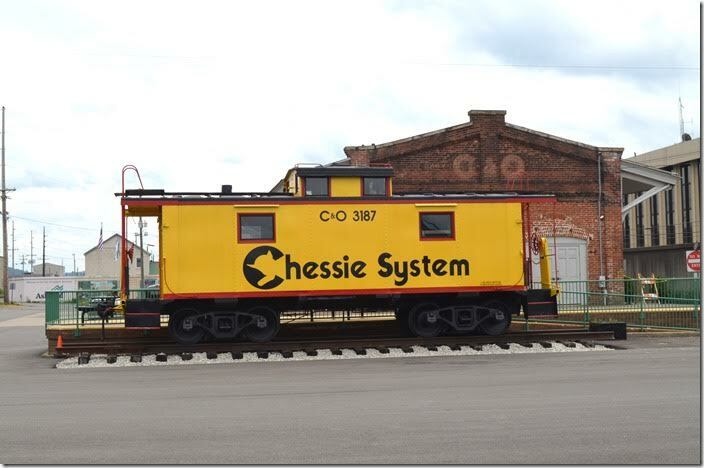 Restored C&O depot and red cab. Catlettsburg. 8. Our next stop was the Amtrak depot and bus station in Ashland. 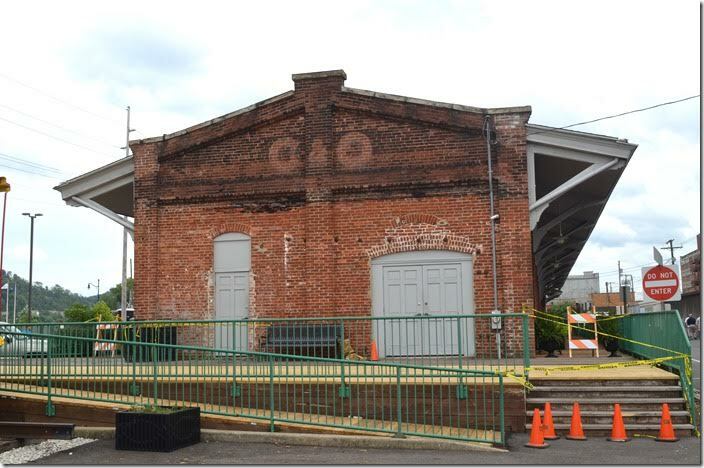 This was formerly the C&O freight depot. 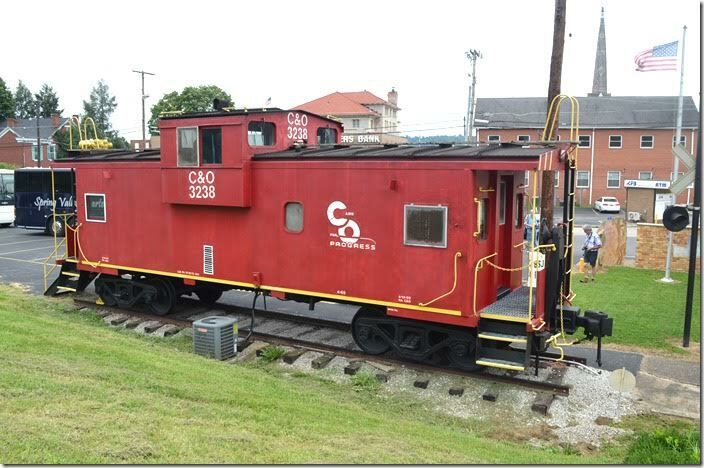 This caboose didn’t come from the C&O, B&O or WM. Clinchfield, Wheeling & Lake Erie, New Haven and Monongahela Ry. used this design. C&O cab 3187. Ashland. 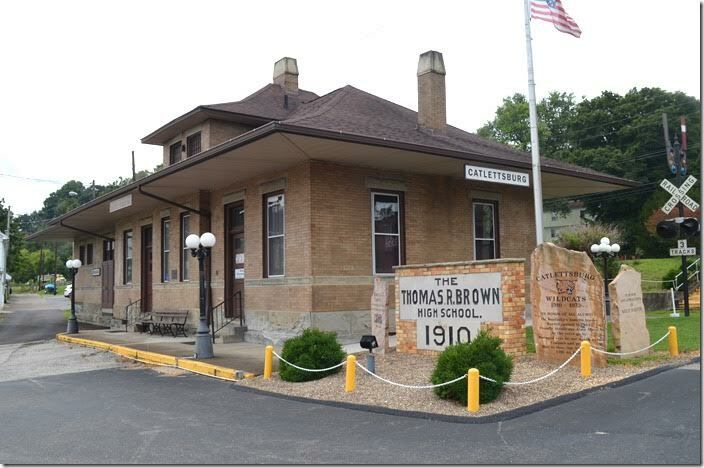 9. ex-C&O freight depot, now Amtrak. Ashland. 10. 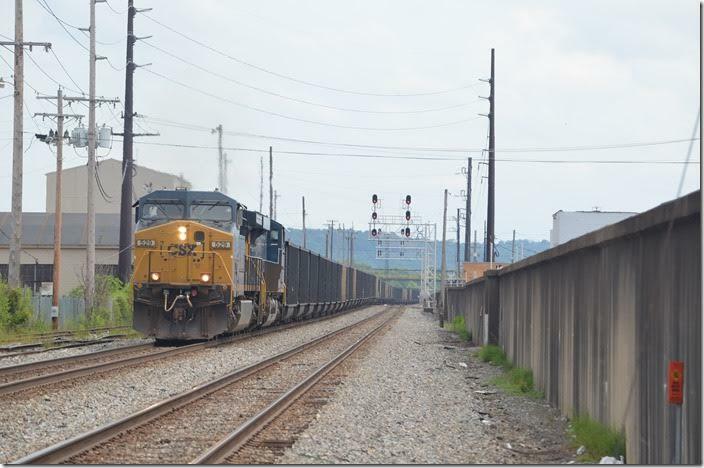 As our bus was loading, a westbound coal train rolled toward Russell behind CSX 529-962. The rusted track on the far left belongs to AK Steel. It was once used by their coke trains to and from the plant at Clyffeside. 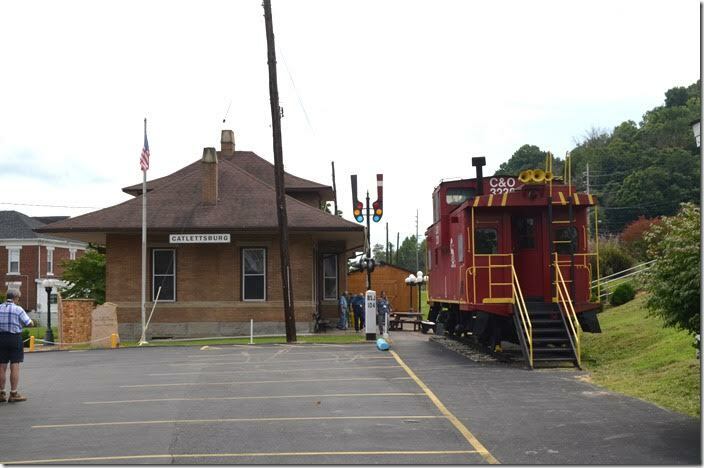 Ashland KY.
We skipped the stop at RU Cabin due to clearance constraints getting there, but substituted a stop at the former N&W depot in Ironton. All in all, it was a good day.